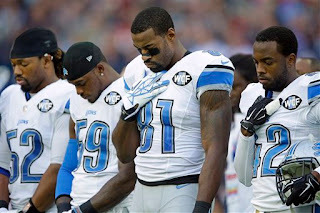 Got something to say about the Detroit Lions? Join in a live chat at 3 p.m. on Thursday to discuss the Lions (2-7) who are preparing to play the Oakland Raiders on Sunday at Ford Field. It's the first of three home games in 12 days. The Lions are coming off a big win at Green Bay on Sunday. 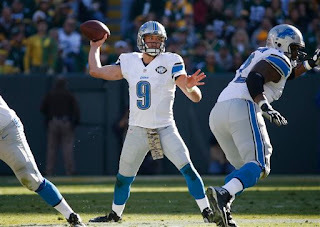 Join me for a chat discussing the Detroit Lions at the special time of 4 p.m. on Thursday. With the front-office firings, the departure of offensive coordinator Joe Lombardi and two offensive line coaches and the involvement of owner Martha Firestone Ford in the process — it's a lively time for the Detroit Lions. The 1-7 record has precipitated the changes. 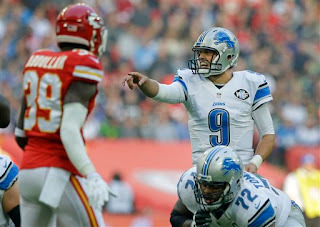 Now the team must focus on the final eight games of the season starting on Sunday at the Green Bay Packers (6-2). Join me for a chat on the Detroit Lions at 3 p.m. on Thursday. This is their bye week but at the halfway point of the season with a 1-7 record, we have plenty to discuss. The players have a long weekend and then will get back to work on Monday. They play the Packers at Green Bay on Nov. 15. The Lions have not won in Wisconsin (they used to play some games in Milwaukee) since 1991.